Whether you’re a fan of earlier seasons of RuPaul’s Drag Race (Season 3, anyone?) or more recent seasons (Season 10 was a blast), there’s something for everyone in the roster of drag queens returning to the Emmy-winning Werk Room for RuPaul’s Drag Race All Stars 4. Prepare to watch Latrice Royale make them “eat it” and Monét X Change have the girls “soak it up.” Who’s the one to beat on All Stars 4? Everyone! And the battles we’re going to see play out on the runway are guaranteed to be the stuff of legends. Below we breakdown the competition of All Stars 4, surveying the stats of each queen and eyeing what they’ve said about their return to the show. Plus, what we think they bring to the competition — and what we think could be their Achilles heel (stiletto, of course). What They Bring to AS4: Farrah brought a fresh perspective and a spunky youthfulness to her season, and while a number of her fellow contestants found her expressiveness to be more like whining, others found her to be endearing, even taking her under their more experienced wings. But this Vegas showgirl has stepped into her own spotlight, gaining national attention from people like Christina Aguilera, even being parodied by Aguilera herself during the pop star’s own appearance last season. 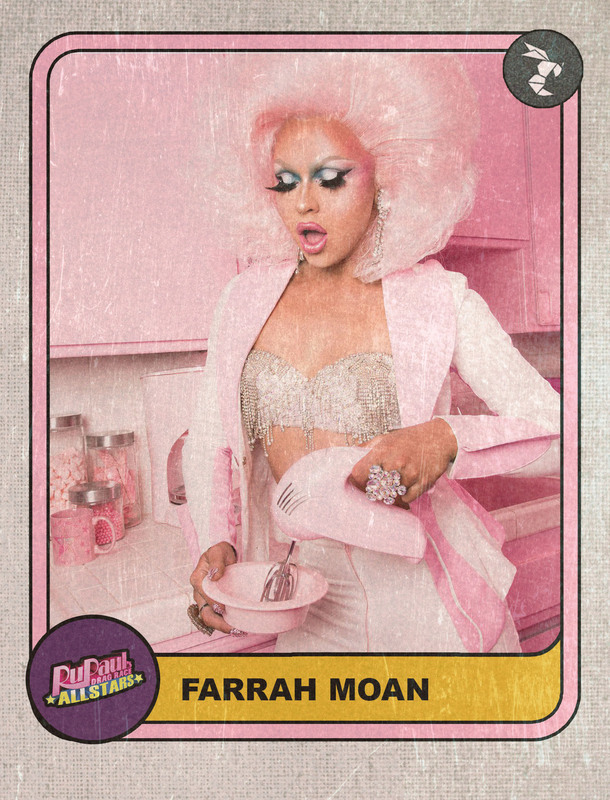 I suspect we will see a freshly experienced Farrah, who has most likely learned a great deal from both her time on Drag Race and her experiences since. While fans are most likely interested in her feud with Season 9 sister Valentina, it will be even more interesting to see how her performance style has grown since she first appeared on the show. What They Bring to AS4: Gia Gunn brought the “boom boom” from the moment she hit the Werk Room, and she “absolutely” let her competitors know it every time. 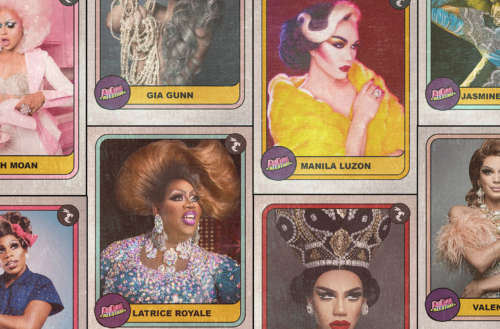 G-G-G-Gia has bravely come out as a trans woman since her first stint on Drag Race, and living her best life will no doubt impact her drag in a positive way. Always stunning on the runway and a noted clotheshorse, Gunn will no doubt be pulling off some über-daring and high fashion runway looks that’ll leave her competitors gagging. 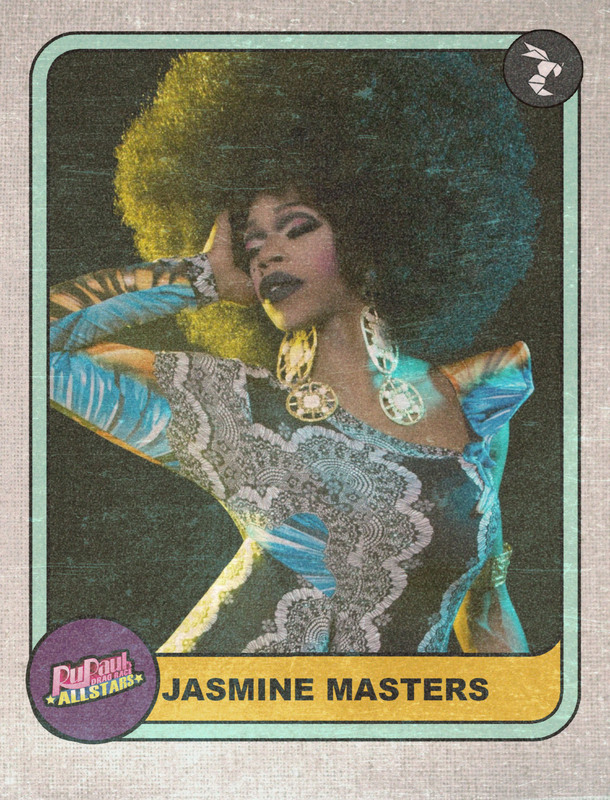 What They Bring to AS4: Jasmine was initially “geeked” to have made it onto RuPaul’s Drag Race, and while her time on the show was short, she has showed us since — via numerous viral videos — that she is “Jasmine Masters and has something to say,” whether it’s waxing poetic on Drag Race fandom to tackling racism within the gay and drag communities. Being a part of the Drag Race sisterhood ultimately got into Ms. Masters’ head during her season. Watching a few seasons since her own has most likely alleviated that, though, and coming into All Stars 4 ready to slay will most likely be her main priority this time around. Her razor sharp wit is at the ready, and her homages to ladies like Patti LaBelle and Aretha Franklin prove she can lip sync a diva like nearly no one else. The question will be, can she put her reverence for competitors aside and keep an eye on the crown? 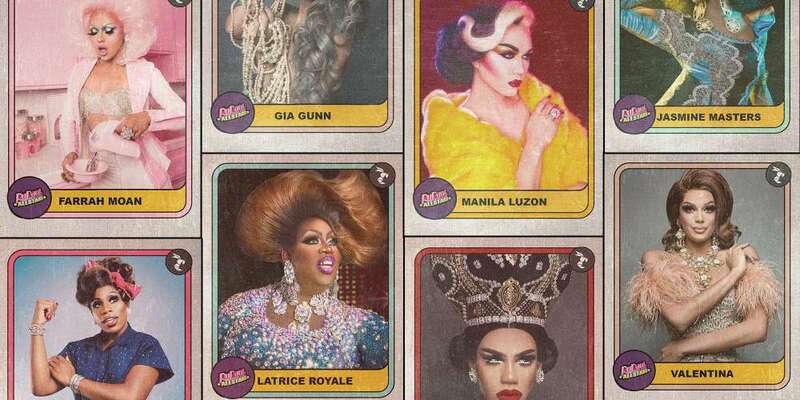 What They Bring to AS4: Latrice Royale is one of the most beloved contestants to ever grace the RuPaul’s Drag Race Werk Room, so seeing her come back for another crack with All Stars 4 will be eye candy for most fans of the show. Known for lip syncing from her soul (just check out her battle with Dida Ritz) and no-nonsense talk, Royale has gone through personal experiences that have truly shaped her “make them eat it” attitude. 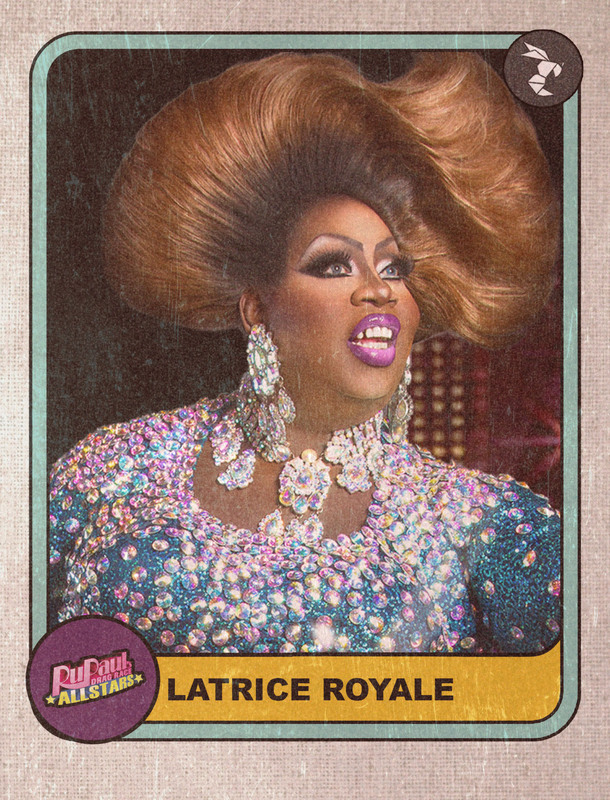 Going through both Season 4 and All Stars 1 will no doubt give Latrice Royale a unique perspective — perhaps a different one than her fellow competitors even. Her ability to feel the song she’s lip syncing and her experience in the industry will definitely give fellow competitors a run for their money. A true professional, the other ladies would be wise to take notes from Royale during their time with her. But will she be able to take a break from mentoring some of her younger competitors to send them packing? What They Bring to AS4: This queen is renowned for character-themed, show-stopping runway looks (most notably her “MacArthur Park” Big Bird lip sync against Delta Work). 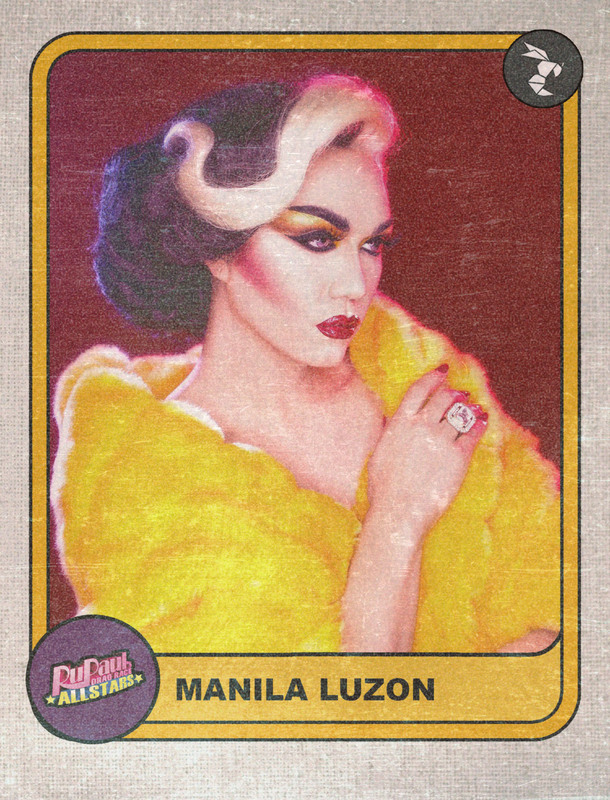 As someone who has helped pave the way for the eight seasons that followed her own, Manila Luzon has been able to watch RuPaul’s Drag Race take shape as the TV (and cultural) juggernaut it is. Seeing what works and what doesn’t work on the runway has sharpened her own runway and performance skills, and the growth this glamour girl has seen since her season could pose a threat to contestants coming from fresh seasons. And few can do a runway theme like Miss Luzon! What They Bring to AS4: This native New Yorker stormed the Werk Room with a broom and worked to “clean up the competition” throughout her season. She soaked up some serious attention with her sponge dress, and her lip sync against fellow NYC sister Dusty Ray Bottoms was one of her season’s most scorching. The drag daughter of New York queen Honey Davenport, Monét brings a pedigree to the competition. While her competition performance and runway looks were occasionally brilliant, it was a lip sync that ultimately sent her home. Consistency will be key for this performer. 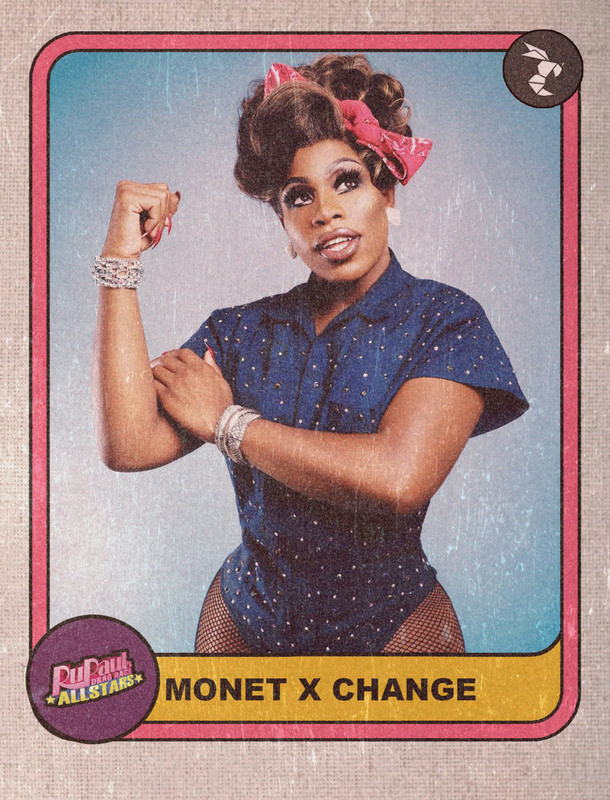 Will Monét X Change be able to refresh and restart her engine for another battle so close to her own season? What They Bring to AS4: The “heart of Season 10” was known for telling her fellow competitors that, quite simply, “facts are facts,” before giving them the ‘straight talk, no chaser’ they needed. While her runway looks suffered from a claim that others had more financial stability than she did, she more than made up for it with creativity, most notably in her royal flush of a Queen of Hearts runway look. 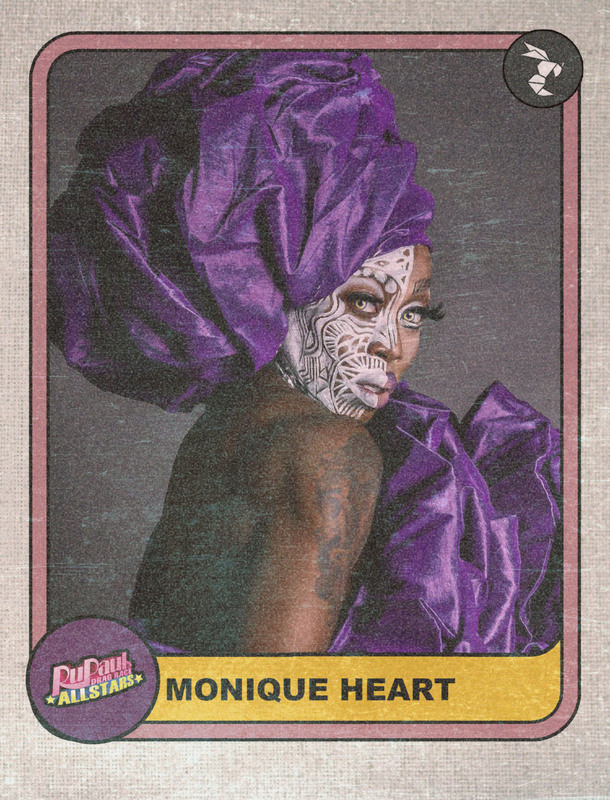 Monique Heart has just come off a successful season and a reunion at which she truly showed her “heart,” so it will be interesting to see what she still has left to deliver. Her own season served as a master class in competition and creativity on a dime, so this time around we’re looking for more high-concept looks from this lovable queen. What They Bring to AS4: She’s known for high-fashion runway looks that pay homage to women like Naomi Campbell (also where her name comes from), and her Scarecrow look from the “Wizards of Drag” challenge remains one of the best to ever appear on the Drag Race main stage. 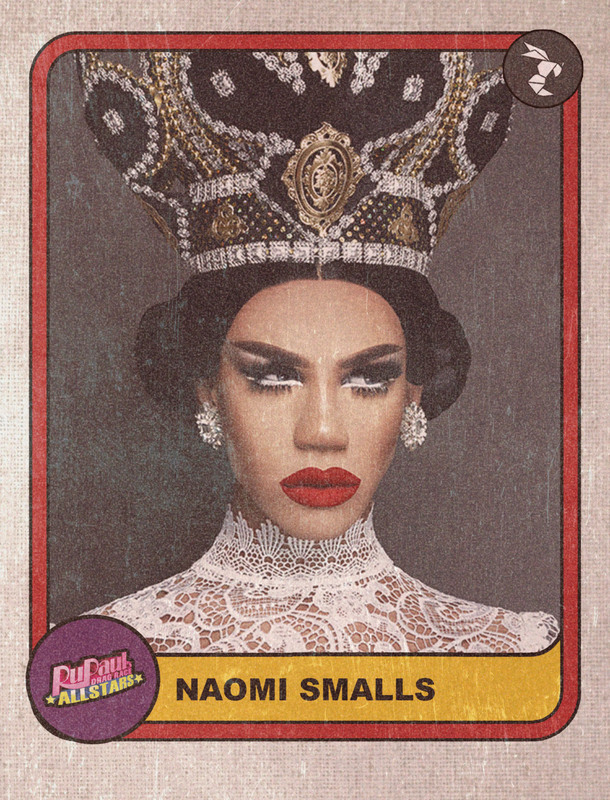 Naomi Smalls was a Top 3 queen with arguably the most raw talent to ever make it to the end of Drag Race, and standing without her Season 8 finalists will allow Ms. Smalls to show that raw talent fully. Seeing how she deals with internal riffs with fellow contestants (her Werk Room feud with Derrick Barry was that of legend) will demonstrate how she’s grown both as a performer and a person, too. What They Bring to AS4: You’d be hard-pressed to find another smoldering showstopper like Trinity Taylor. This enhanced enchantress is back to possibly claim the crown she came within a fingernail of snagging. One of the biggest lip sync assassins of her season, she’s known for direct talk to fellow competitors (remember those prickly interactions with Eureka O’Hara?) and for sending Dame Charlie Hides home without much of a battle from Hides herself. But Trinity Taylor will hit the All Stars 4 runway alongside lip sync stunners boasting talents very similar to her own. Watching her battle established talents like Latrice Royale and Manila Luzon on the runway will be interesting, to say the least. Trinity Taylor has a big personality and is beyond opinionated, but will she be able to balance her expressive personality with letting her talent be the main focus? 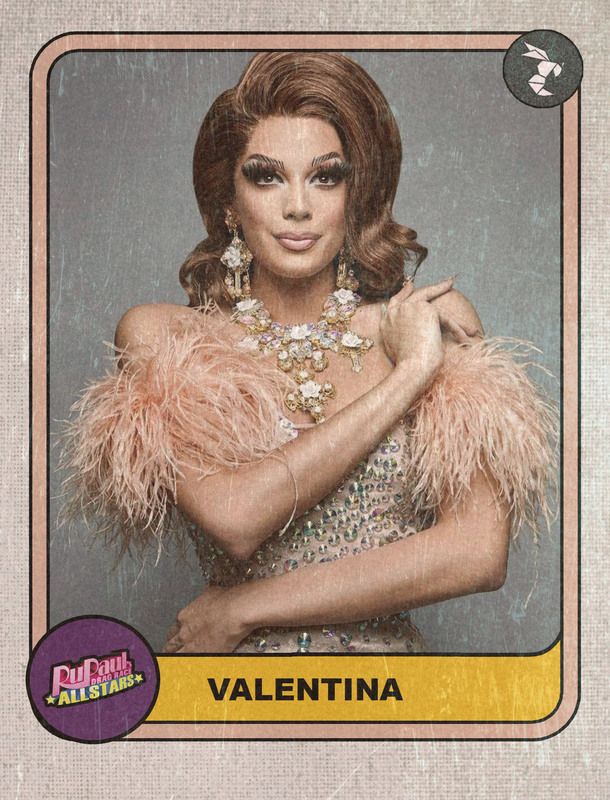 What They Bring to AS4: Valentina is famous for what is one of the most famous eliminations ever on RuPaul’s Drag Race. Not removing her mask during that lip sync ended with RuPaul eliminating her from the competition, but we somehow knew we hadn’t seen the last of this Latinx sensation. Her verbal sparring with Aja on Untucked also took on a life of its own, even becoming a danceable track thanks to producer Adam Joseph. Valentina’s return is the quintessential definition of a “Rudemption. “With stunning runway looks and smoldering Latin flavor, Valentina is already being looked at as one to beat in the All Stars 4 competition. It should come as no surprise that fellow competitors will be poised to knock her out early, so let’s expect to see a crown-hungry Valentina walk into the Werk Room this time around. Will her thirst for victory be enough to eclipse her demons of that previous runway experience? That’s the real question. RuPaul’s Drag Race All Stars 4 premieres Friday, Dec. 14 on VH1. Who are you rooting for?